Only 200 BMW i8 Roadster First Editions will be produced in total. The First Edition will be limited to just 200 examples, 18 of which have now been handed over to excited customers. But BMW didn’t deliver them individually. Instead, the automaker gathered the first 18 examples of the i8 Roadster First Edition ever built in a special ceremony held at BMW Welt in Munich, where Peter van Binsbergen, head of Sales and Marketing BMW Germany, handed over the keys to the proud new owners. 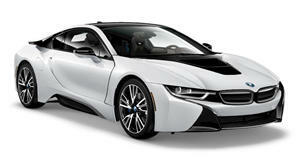 Each customer was part of the BMW i8 Club, which meant they already owned an i8 Coupe. Each First Edition is distinguished by an exclusive interior plate on the driver’s side of the center console with a limited-edition numbering representing its 200-model production run. These initial 18 examples are even more exclusive, however, as they also have an additional “1 of 18” inscription, which will undoubtedly add to their collectability. Special interior options are also available, such as ceramic applications for operating controls, dry-carbon interior trim, Harman Kardon hi-fi speaker system, and the BMW i8 logo projected in the footwell, further adding to their exclusivity. “We have been eagerly awaiting this moment for months – in fact, ever since we saw the first pictures of this gorgeous vehicle. The chance to enjoy the amazing driving experience of the Coupe in a Roadster is a dream come true for all of us. My fellow club members and I have been especially touched by the warm and enthusiastic welcome we have received here at BMW Welt. It has been an emotional moment we will never forget," explained Claus-Dieter Bachmann, president of the BMW i8 Club. “The represents many things that are unique about BMW: fascinating design, visionary technology and sustainable mobility, but, particularly, emotion and sheer driving pleasure,” said Binsbergen. “This sports car was built for people like the BMW i8 Club members: absolute automobile enthusiasts who love cars and dare to defy conventions and try new things. It therefore gives me great personal pleasure to present the 18 s to the BMW i8 Club.” Once they were united with their new rides, the owners drove their i8 Roadsters in a convoy to Lake Como in Italy for the Concorso d’Eleganza, where they were displayed on the grounds of the Villa Erba last weekend.